Well no luck for the Abingdon League in the World Championships this year. 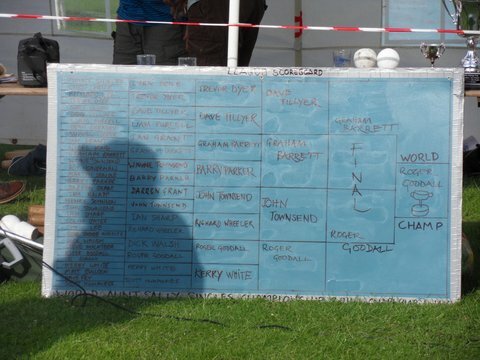 Our own players got knocked out before the quarter finals with Roger Goodall taking the trophy and the prizemoney. For more pictures click here with thanks to Kerry White. Next year we need to do better Abingdon !